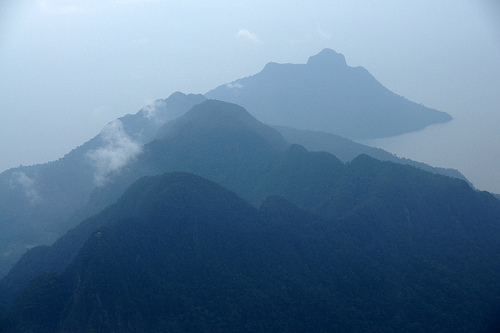 Santubong is very popular with its untouched natural tourist attractions. 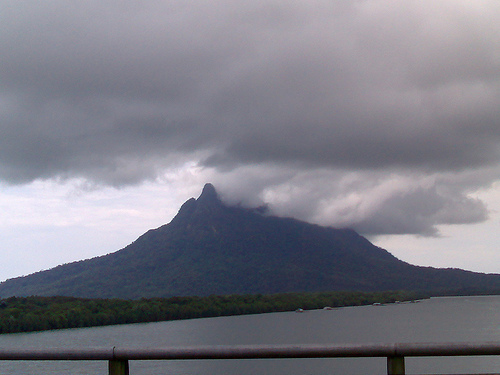 It is located in Sarawak, in East Malaysia. 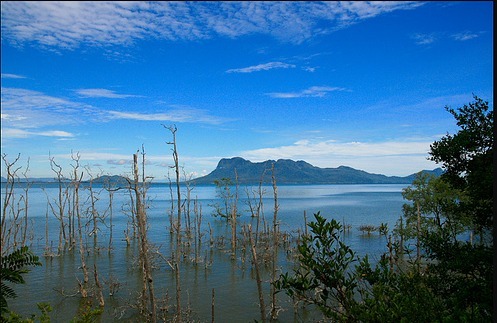 It is situated about 35 km away from Kuching, the capital of Sarawak. The main attraction in Santubong is the Sarawak Cultural Village. 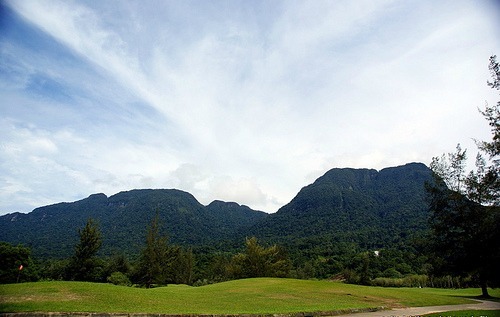 Sarawak Cultural Village is located at the foothill of Mount Santubong. In the Cultural Village, you have the chance to experience the rich cultures and different ethnics of Sarawak. There are gardens of beautiful flowers and plants with amazing rock and sculptures around in the Cultural Village. One of the must do exciting thing in the Cultural Village is to walk across the bamboo bridge to reach the Bidayuh Longhouse. The bamboo bridge is quite narrow but with strong and long borders at both sides. In the long house, there are traditional music playing and locals dancing to welcome you. Exhibits and displays that are related to their culture are displayed too. Besides, there are locals around doing their own activities including dehusking paddy, crafting, beading and cooking just to name a few. It is a must to visit the Sarawak Cultural Village as this is one of the best living museums around. Although the price of the ticket may be quite high, it is undoubtedly worthy. 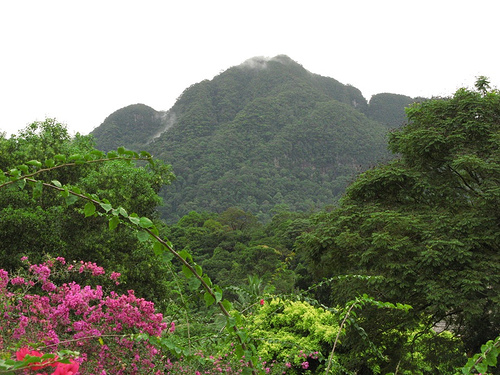 Going up to the Santubong Mountain, there are a lot of activities awaiting you to explore. 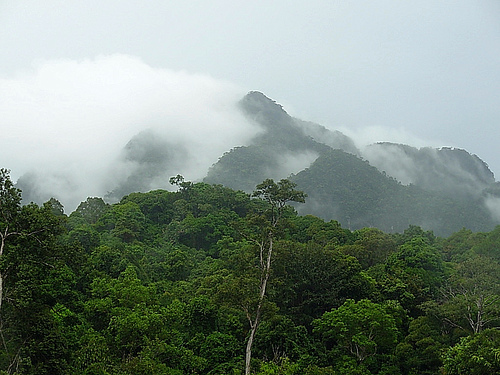 There are jungle treks, river cruise and waterfalls cascading. River cruise is one fun activity where you have the chance to get up close with the wildlife and mangroves. Fireflies and Proboscis Monkeys are to be seen while you are cruising along the Salak River. There are also salt water crocodile to be seen on the banks during dusk. Spending nights in the breathtaking Santubong is definitely a must as a getaway from the hustle and bustle city lifestyle. There are quite a few interesting accommodations offered with their very own distinctive features. There are Holiday Inn Resort Damai Beach which is located by the beach and Nanga Damai Luxury Homestay which offers the opportunity to overnight in the traditional longhouse. You can also spend your nights in the popular Sarawak Cultural Village. Moreover, most resorts and hotels have shops if you fancy shopping for souvenirs. The place is quite rural and undeveloped. However, main places of attractions are of walking distances. Still, there are shuttles available from the resorts or hotels you stay in with certain fees.